I love the age of 2, they get such a mind of their own. They know what they like and what they don't like, I guess you could say they like to be in charge of almost everything. Their personality is really beginning to blossom, and they can be such characters. From dirty faces to banged up knees, boys at age two are so much fun! I can hardly keep up with a two-year-old, where do they get all that energy. They are always playing, and we have so many toys! Even at the age of 2, he does have his favorite toys! These are my best Gifts for a 2 Year Old Boy for 2019. Boys two years old are always on the go. We want to keep them busy investigating and exploring with age appropriate toys. These toys are great Birthday gift ideas. 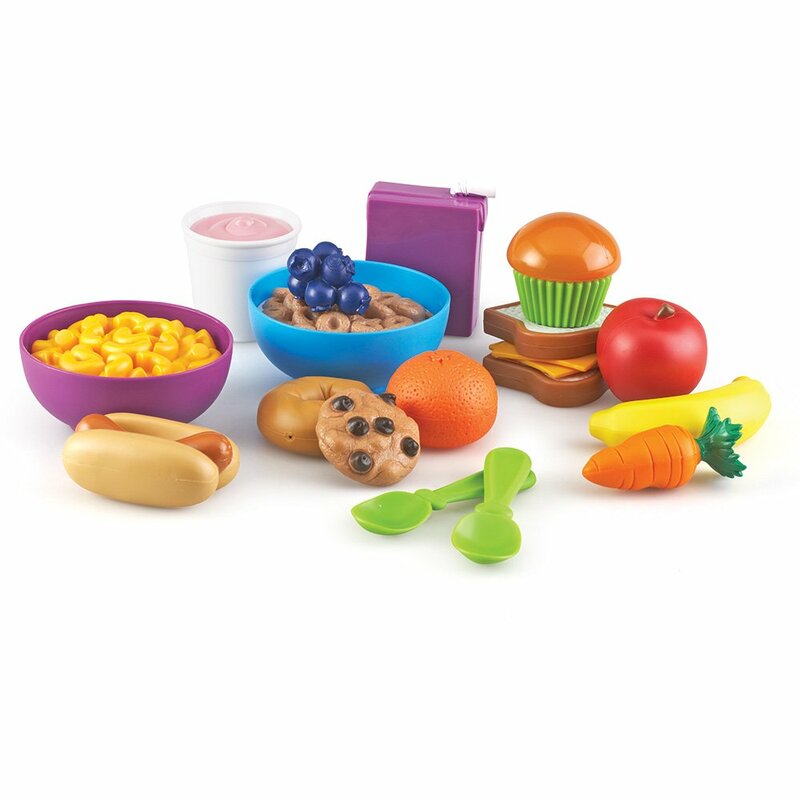 Here are just some of our little ones favorites! 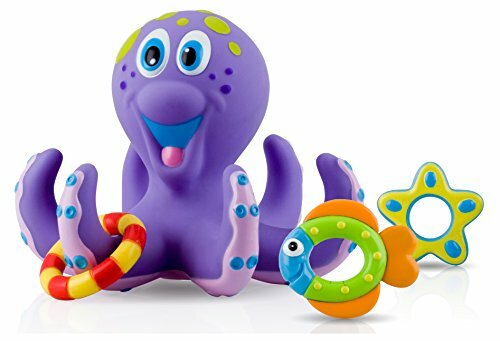 These toys keep him busy and entertained, he just loves to play with them. This is Seriously, one of the Best toys we have ever bought!! 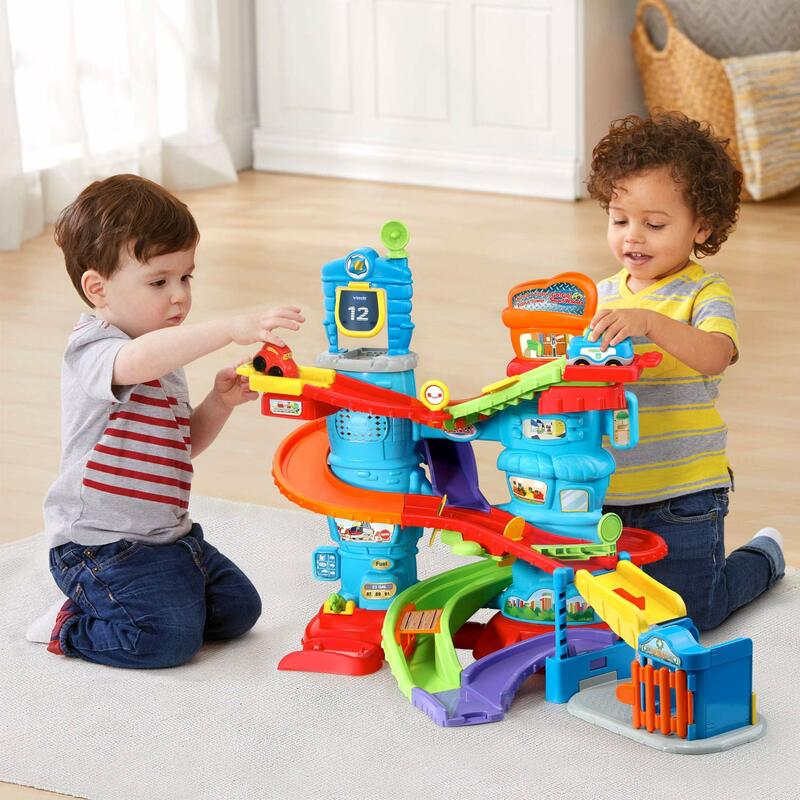 The Step 2 Roller Coaster gets used the most, we hear the most laughs from the kids. We loved it so much we bought it in both sizes. They have a bigger Roller Coaster for older kids, which we Also Love! Our children get plenty of exercise on this great toy!! I do know what our kids love to play with, and what keeps kids busy. I love to do research on the best toys and watch them be put to the extreme kid test. Kids will be honest, and they will let you know if they like or don't like a toy. Any of these fun toys would make good birthday gifts! 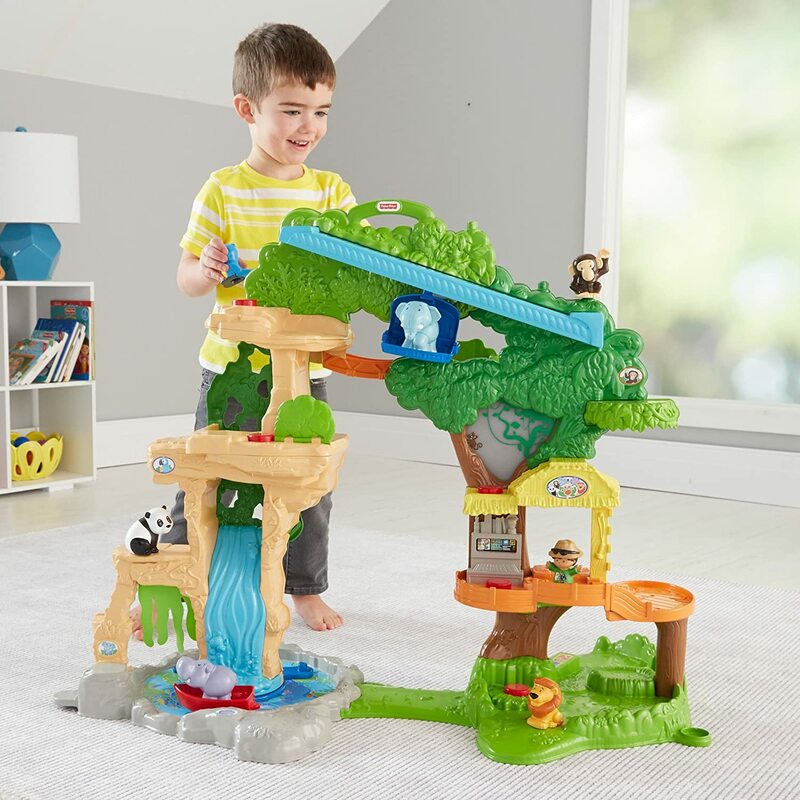 We love all LeapFrog toys. Don’t even think for a minute, that a two year old is too young for a tablet. Go ahead and get your child a Learning Tablet and watch how smart they are. Kids catch on so fast when they are young, it’s truly Amazing. 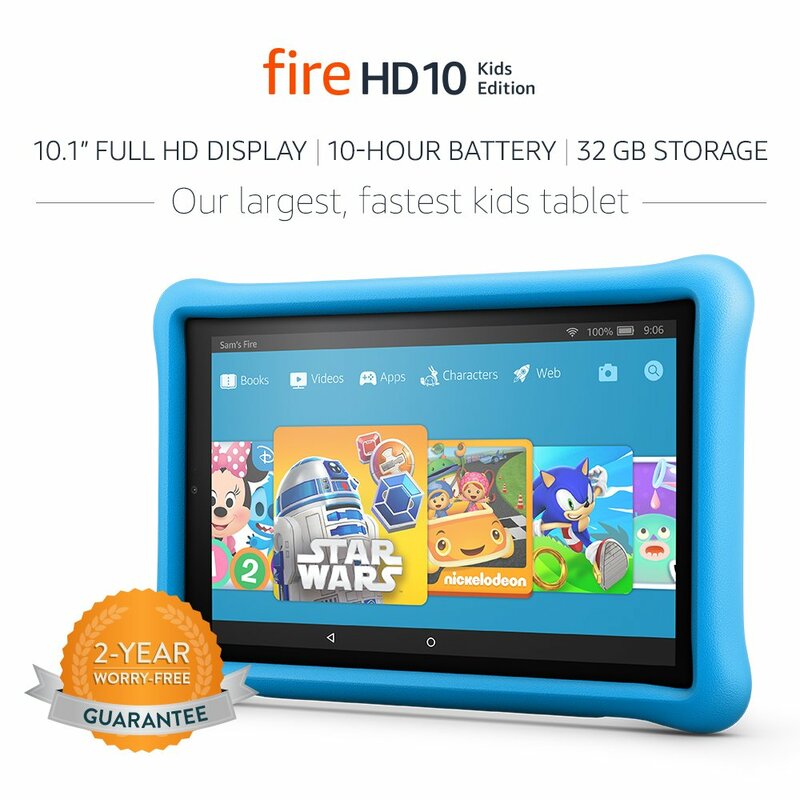 Educational Tablets for Kids, are so fun! And they make a Great gift for kids. This is the case we have and love! 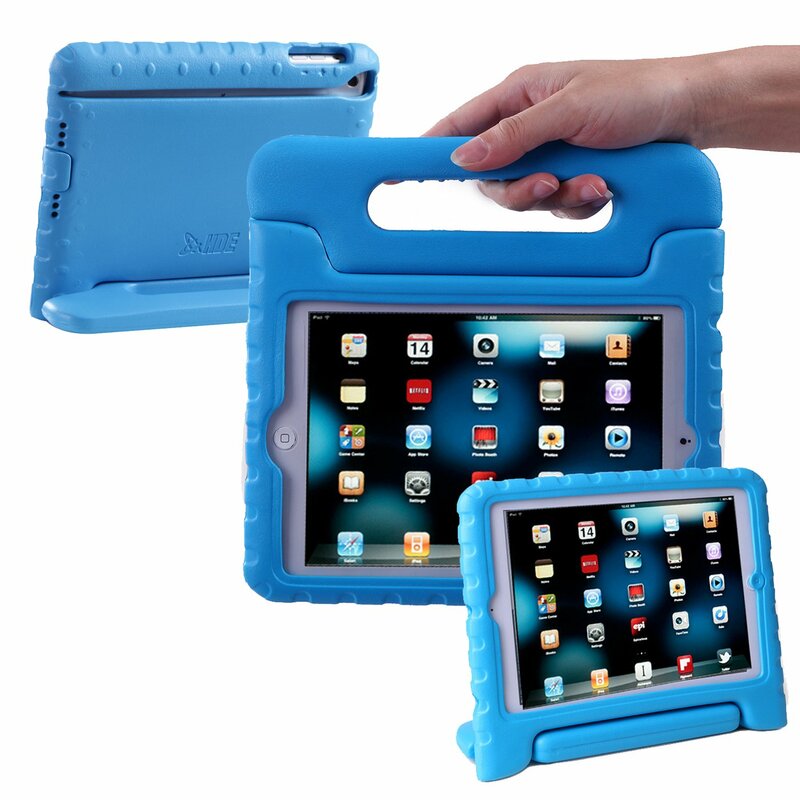 We bought an older iPad Mini to put into this case for the kids. 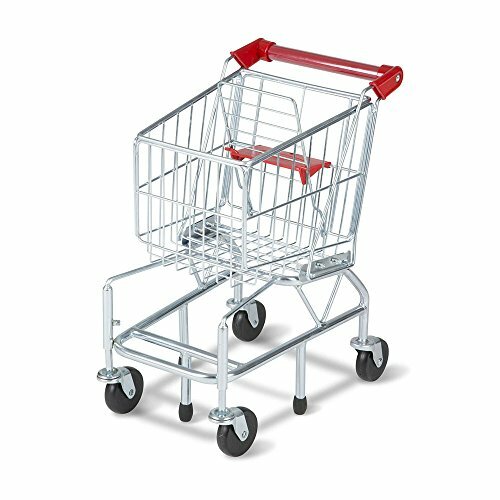 We actually have two of these, and we think they are the greatest! 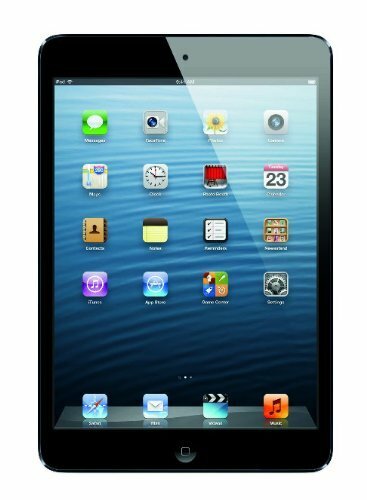 The younger you start children out in learning, the smarter they are; and Tablets are fantastic for kids. This will make the best Christmas gift for your child, grandchild, nephew, or whomever, just get them learning early. You won’t be disappointed, you will just be Amazed! 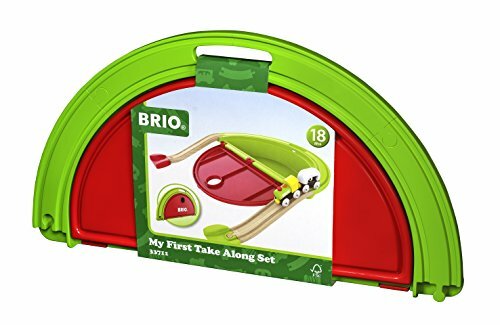 This is just so cute for our kids, with lots of fun ways to play! 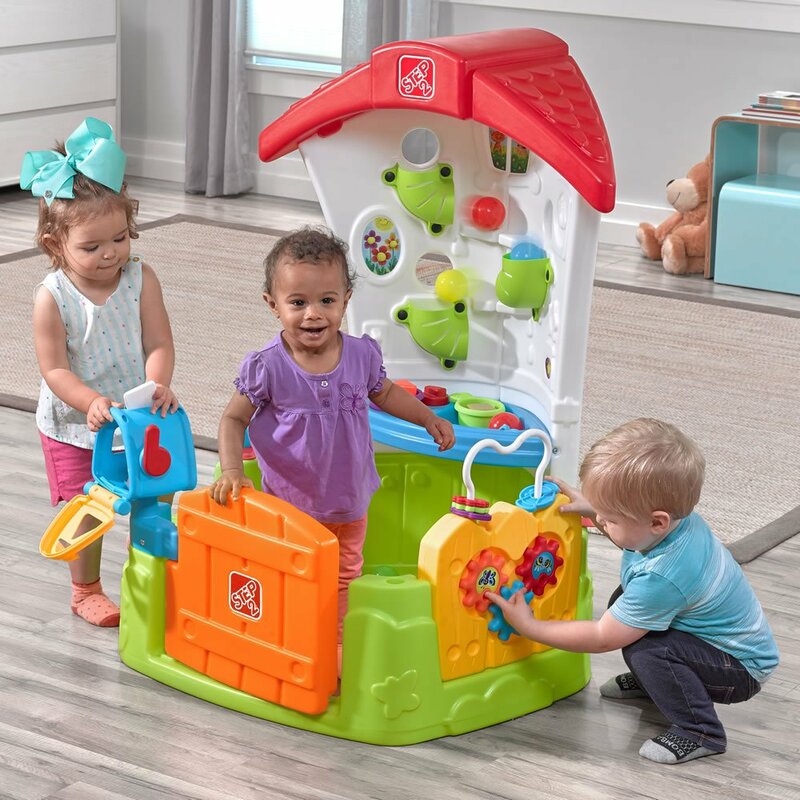 With the open design, more than one child can play at a time. The ball maze and kitchen area, keeps our little one super busy!! I don't know about you, but I can’t keep up with our 2 year old. He’s getting big, strong and so full of energy. He wants to be just like daddy, he loves to mow the grass. We have the bubble mower & he likes to watch the bubbles come out of his mower. He figured out that the faster he moved his feet, the faster the bubbles would come out of his mower. 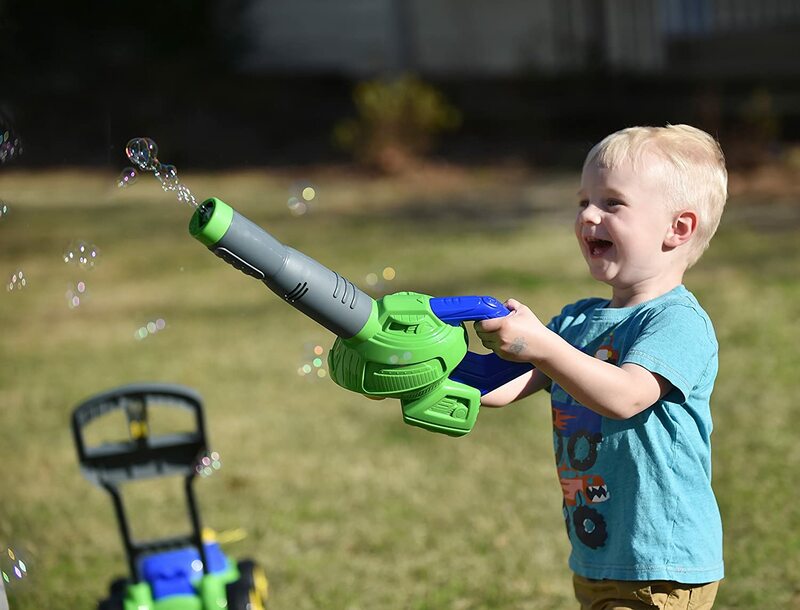 It’s pretty cute to watch him, with his bubble mower! 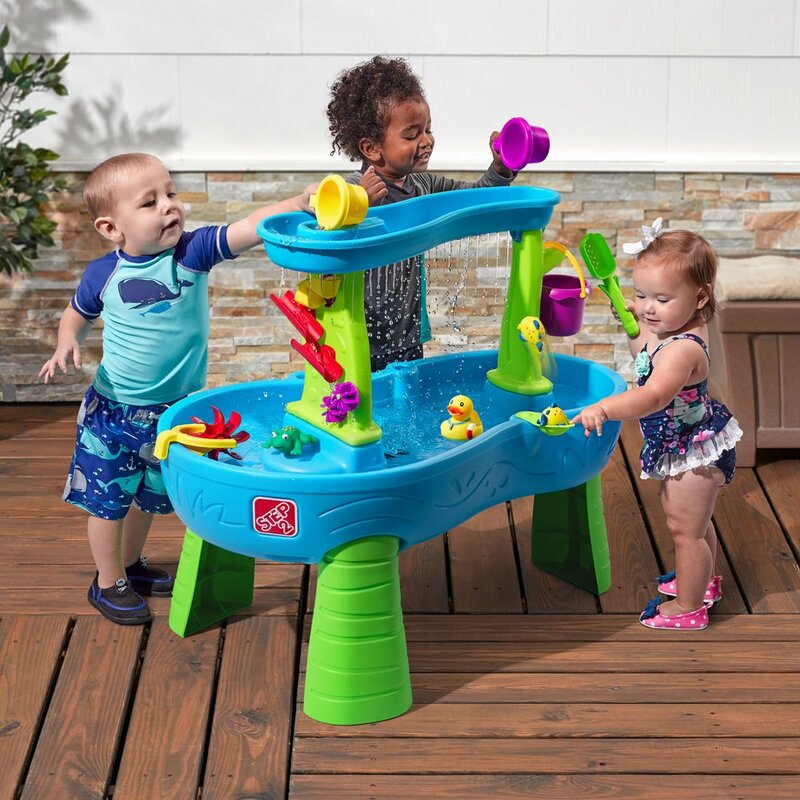 These are ​Outdoor Toys Toddlers love. 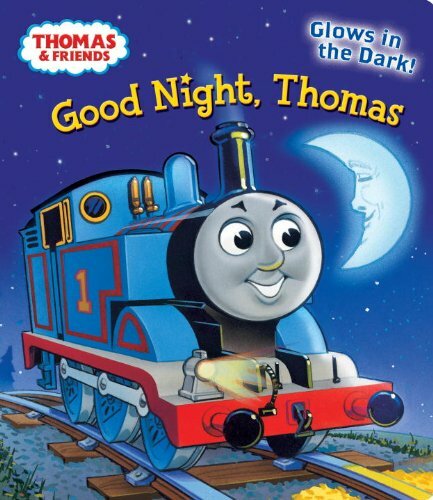 ​Thomas the Train is his favorite show! 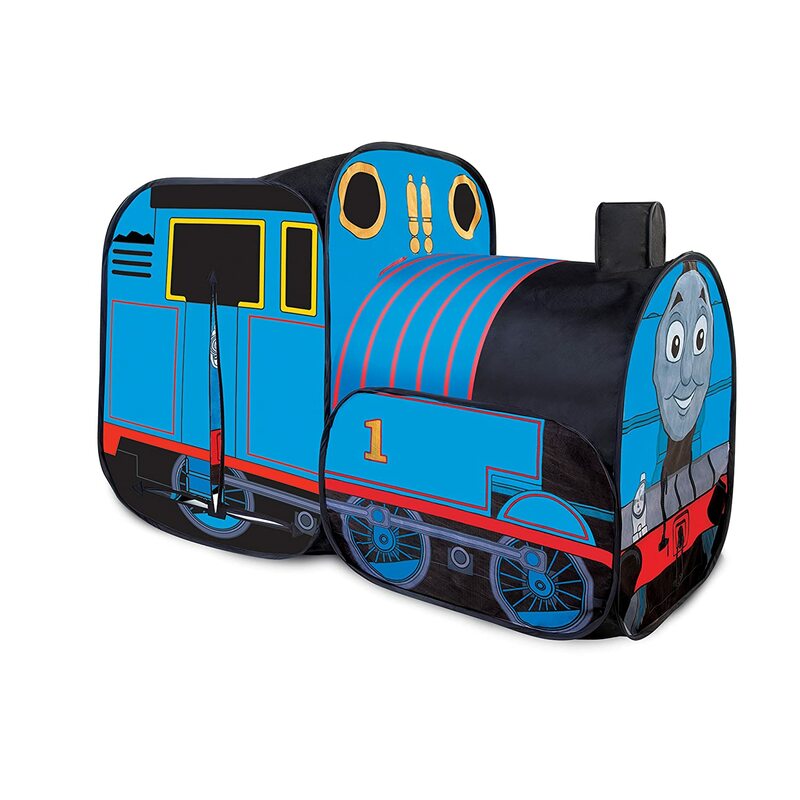 He just Loves Thomas, so I know anything I buy him that has Thomas on it, he will absolutely go crazy over. 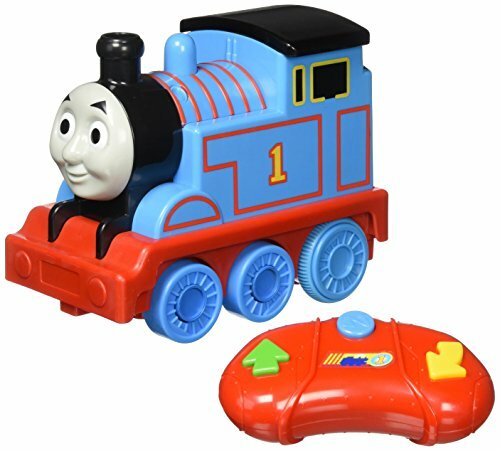 He’s always carrying around his Thomas the Train cars. 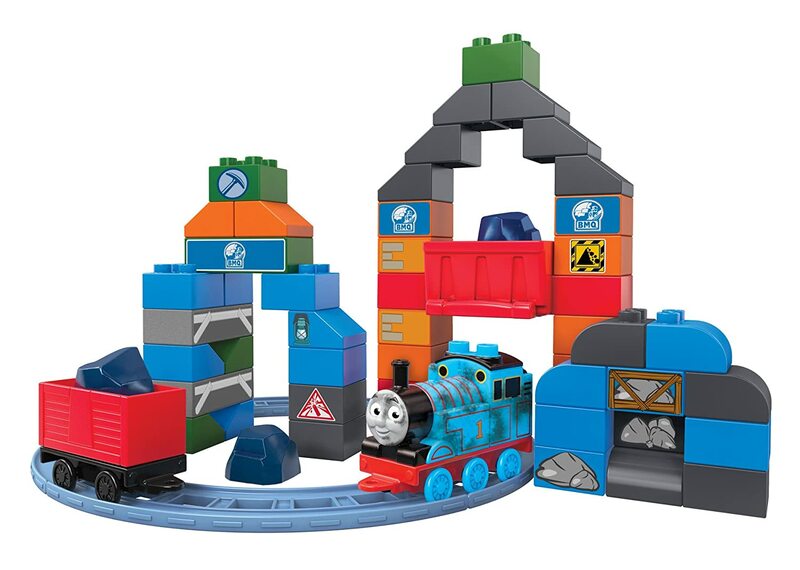 Thomas goes everywhere with him. 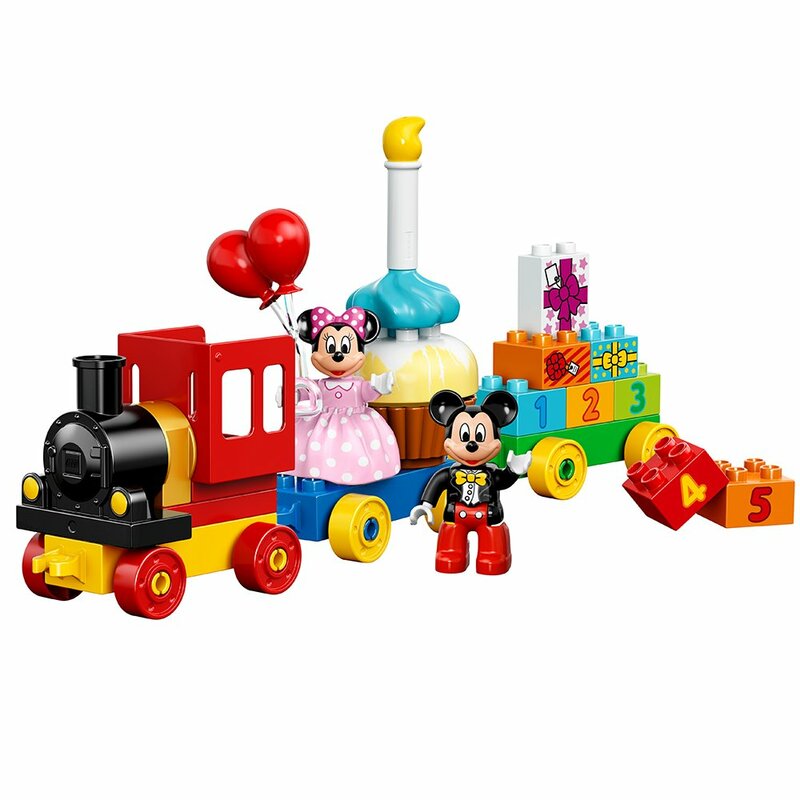 I can buy Any one of these toys for our little guy, and they would be the perfect birthday present for him! 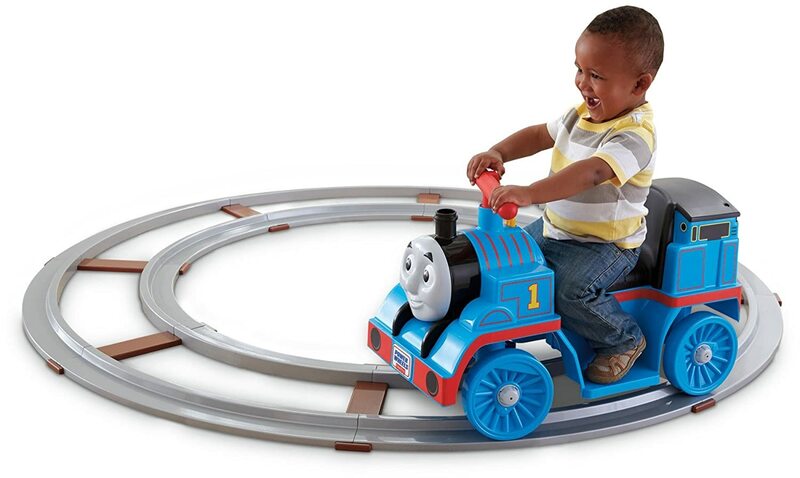 Thomas the Train Toys are a must in our house!! 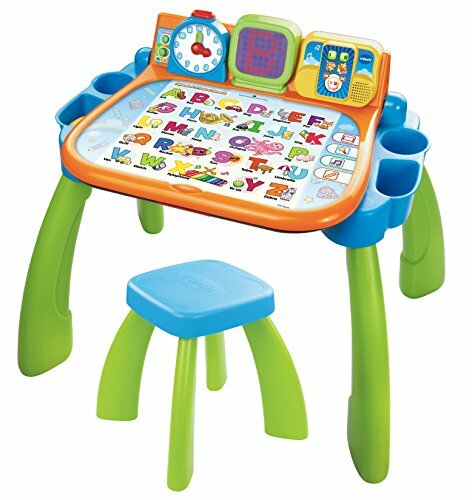 The Touch and Learn Activity Desk is something children love! The desk has buttons, lights and a toy telephone. ​Children can sing along, learn vocabulary words and play activities. The desk transforms from desk to easel and chalkboard. 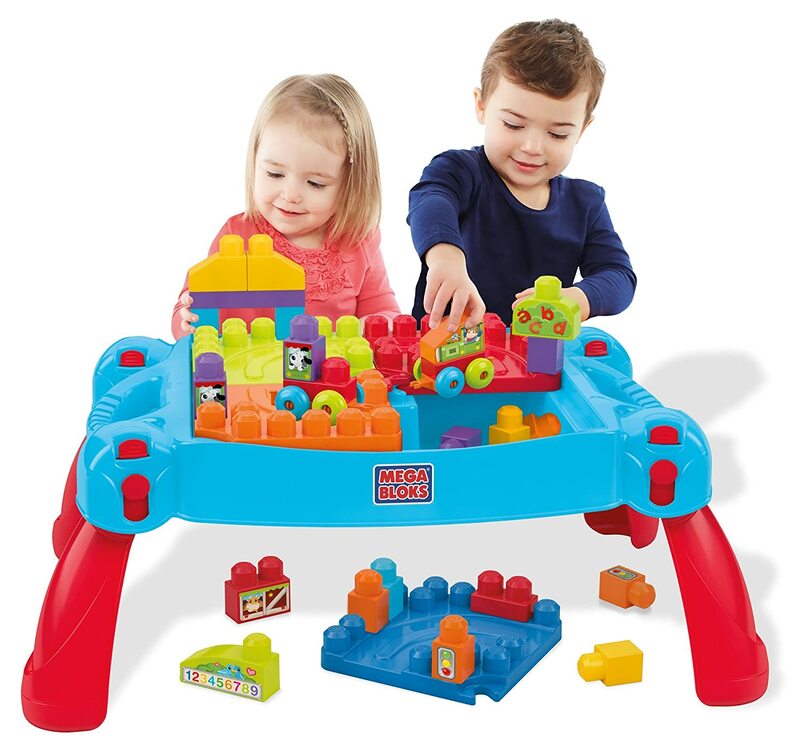 Fisher Price Little People play sets continue to captivate little ones hearts and imaginations. They are always the hottest toys for a 2 year old boy, and they have been for years. 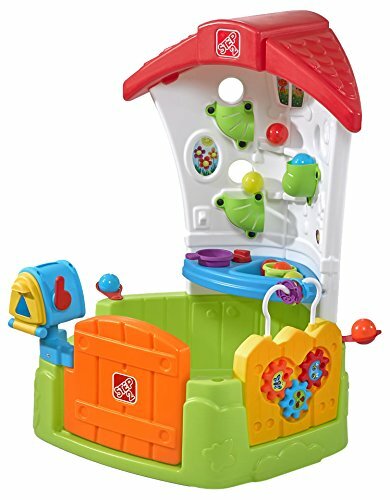 Children will love playing with their little people play sets for hours. 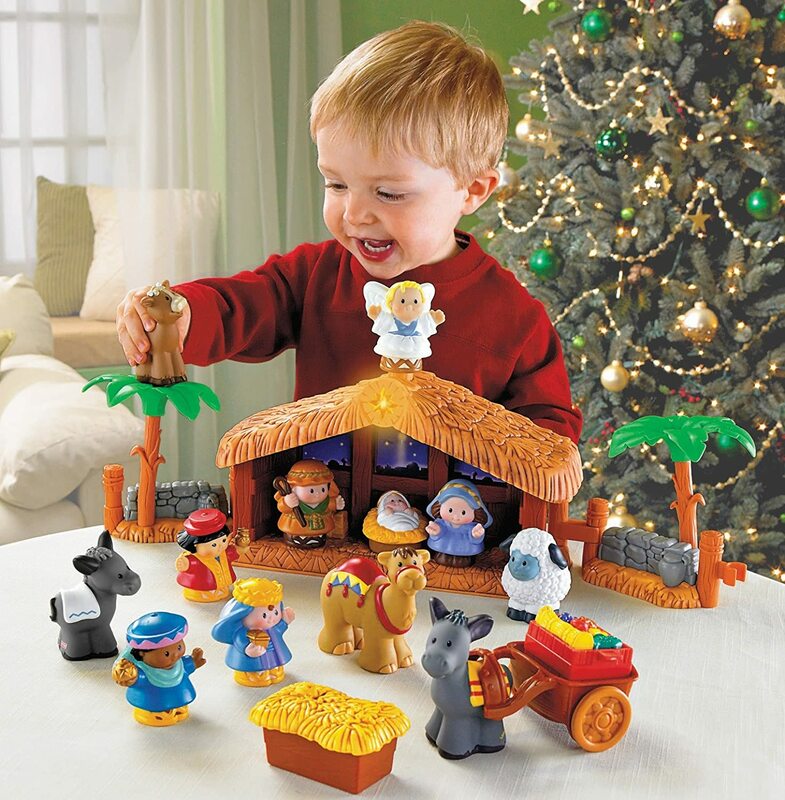 Fisher Price Little People sets are fun toys and they make great gifts for a two years old boy. ​Our children always play with Little People Toys. They can play for hours and they are made super strong, they last forever. They’re a lot of fun for boys and they sure do enjoy playing with them. Little Tikes Spray and Rescue Fire Truck is a really fun riding toy for 2 year olds. The Fire Truck has a pressurized water tank, that really sprays water. Easily removable water tanks for refills. The ride on fire truck is fun, & super durable for kids. This is a really fun Ride on Toy for kids. Best gifts 2 year old boy, for us is a race car set. We always had a race car set for our kids; they really enjoy playing with it. 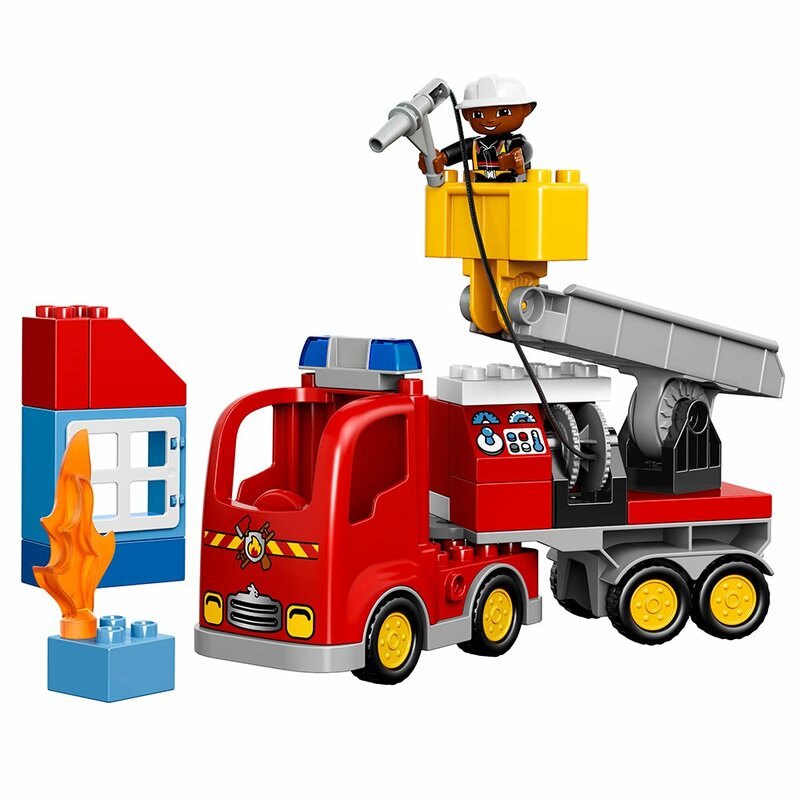 The Mega Bloks First Builder is really fun because it is age appropriate, it’s perfect for a 2 year old. 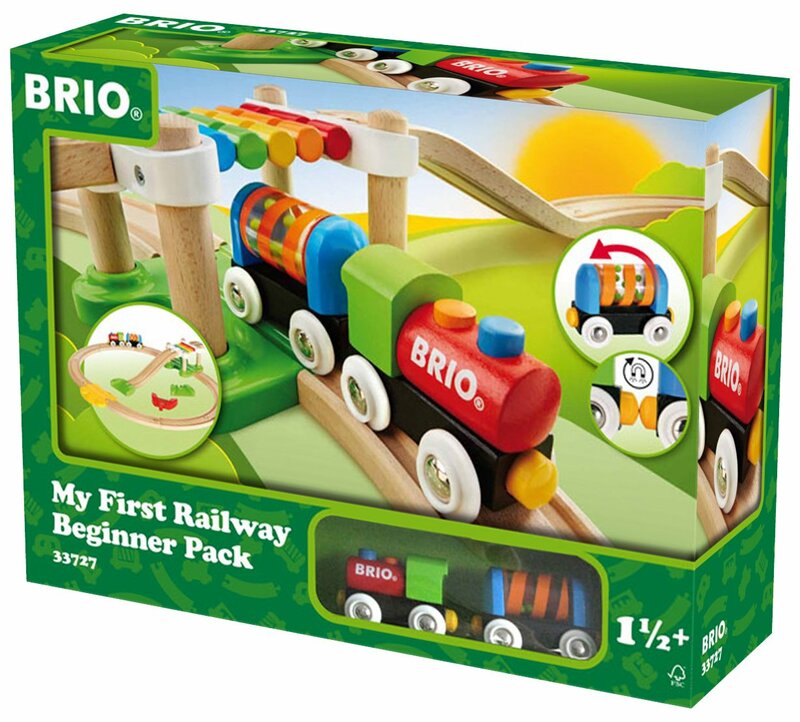 If you were looking for birthday gifts for a 2 year old boy, this would make a good choice. 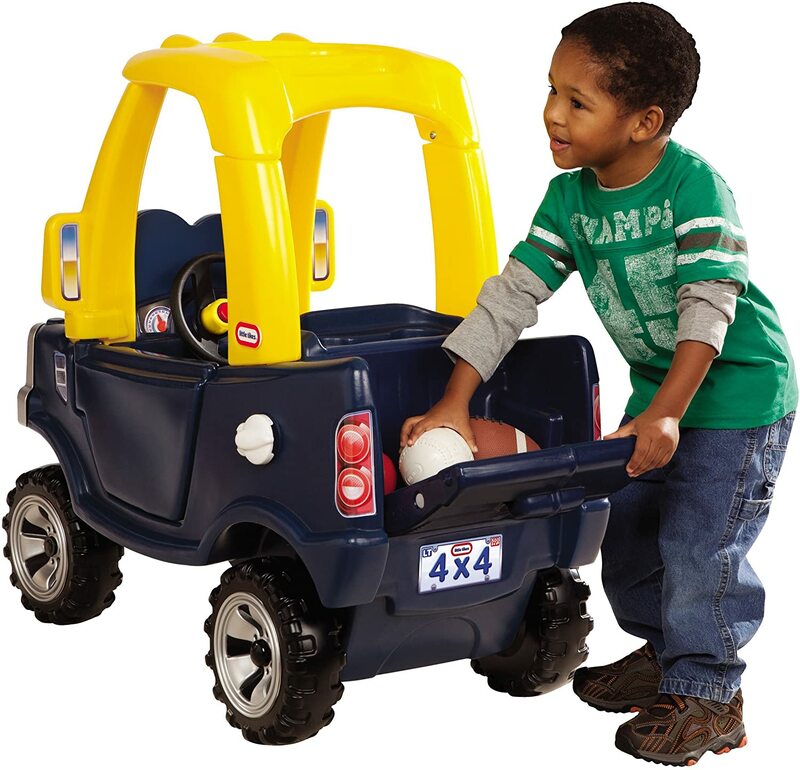 Little boys love to race their cars and they just love to play with any car. The Fast Tracks Rescue Team will keep them entertained for a long time. 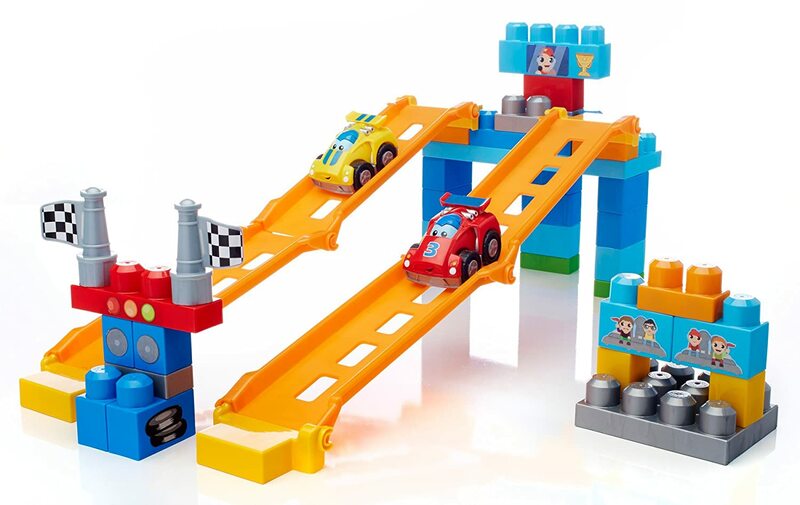 Our kids love playing with their Mega Bloks Race Cars with their friends and family members, it’s a pretty fun track! It’s also great for little hands. It’s pretty cute to watch them play and it’s even more fun to join in and race with them. 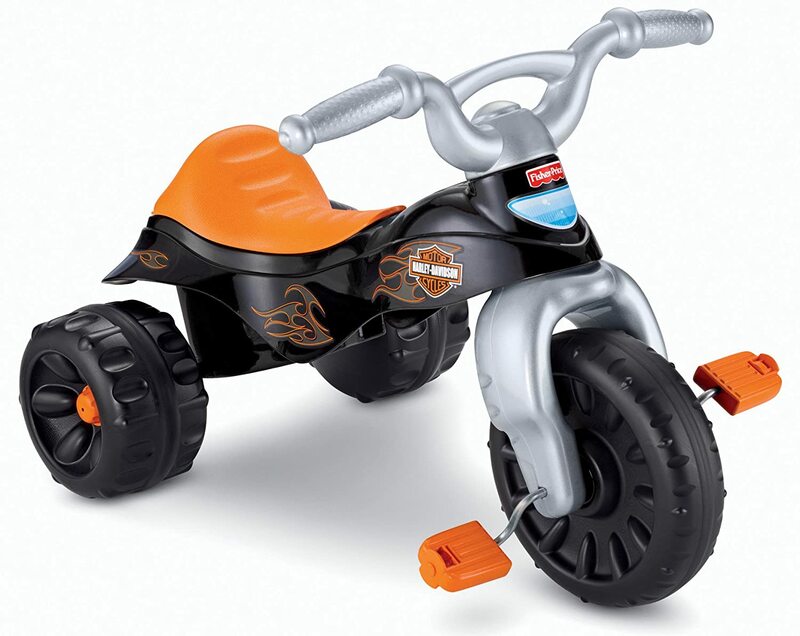 Ride on toys for kids, these all come with a cute smile on the front to make any child happy. 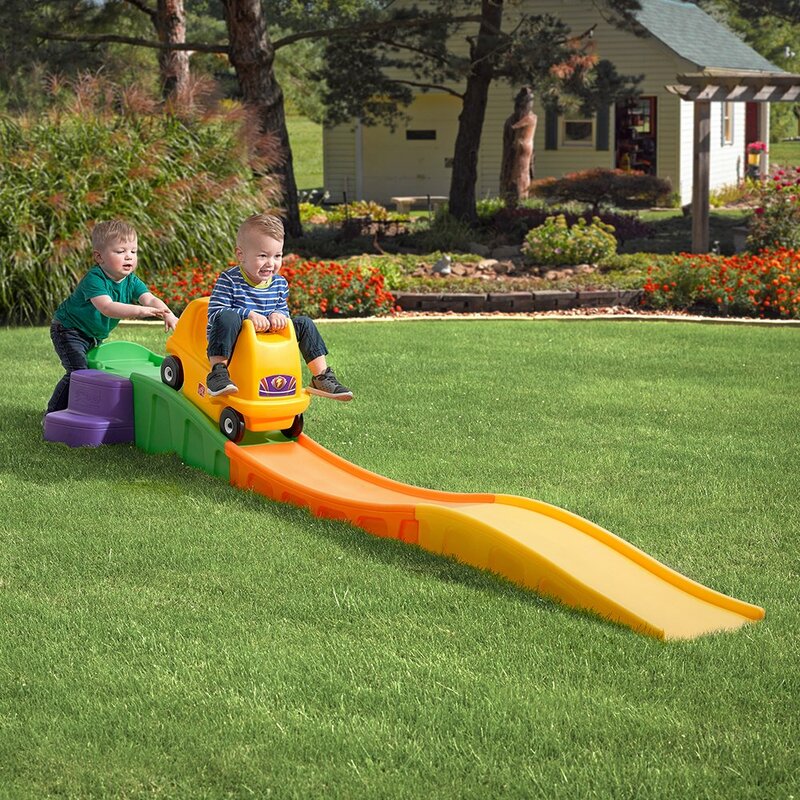 Children will have lots of fun with these cute Little Tikes Toys! Children of all ages love to play and hear music. It’s fun for them to learn any kind of musical instrument. Tap the drum, and see the lights twinkle to the beat. Learning to play music can be very important for our kids. Research suggests that it could be making our children smarter. 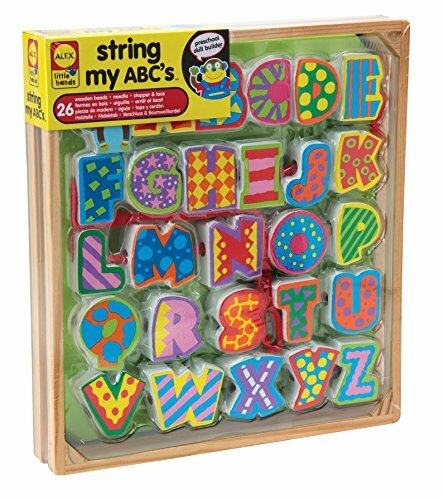 This could be the best learning toy for a 2 year old boy, they can learn shapes, colors, numbers and more. This is such a fun Learning Table for kids. Start them out very young, and they will love music. All of our children know how to play musical instruments, & they love it. 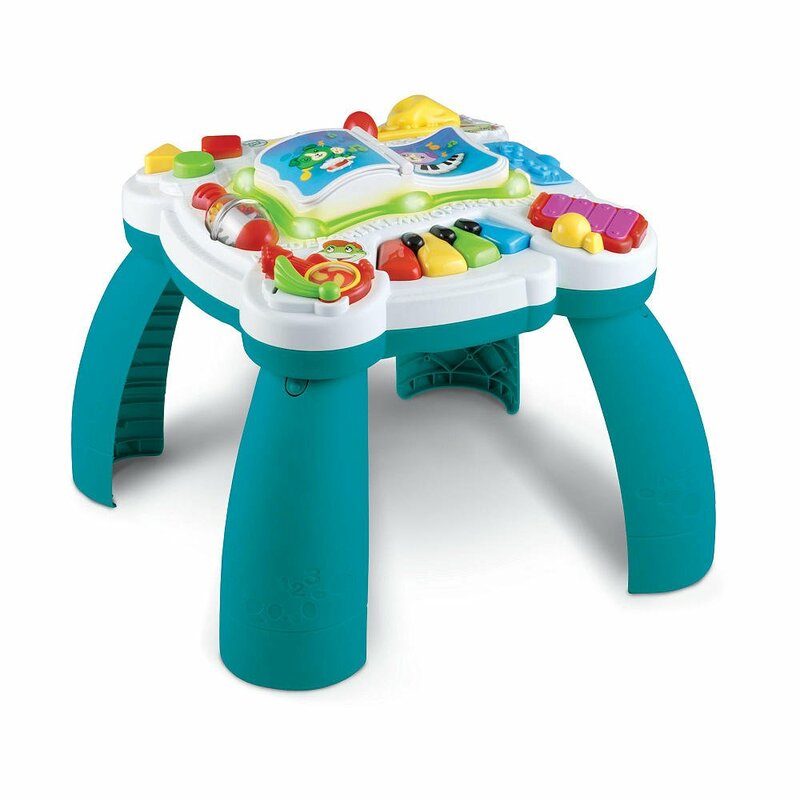 The LeapFrog Learn & Groove Musical Table is so much fun for kids, with seven activity stations & two learning modes. Children can learn colors & shapes and hear more than 70 songs. 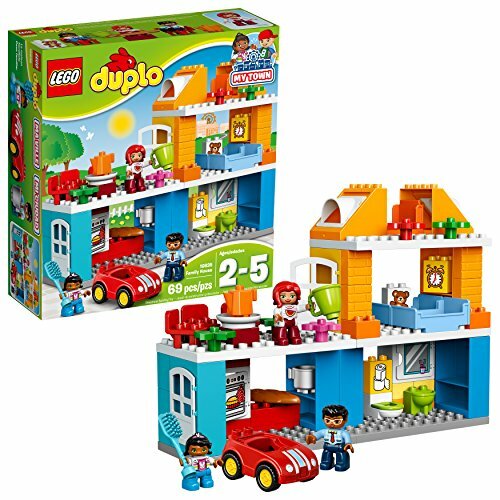 Boys age 2 will have so much fun for hours, creating and playing with Lego Duplo’s. We want them to have fun and give them something to inspire their minds. Here they can use their imaginations and the possibilities are endless! 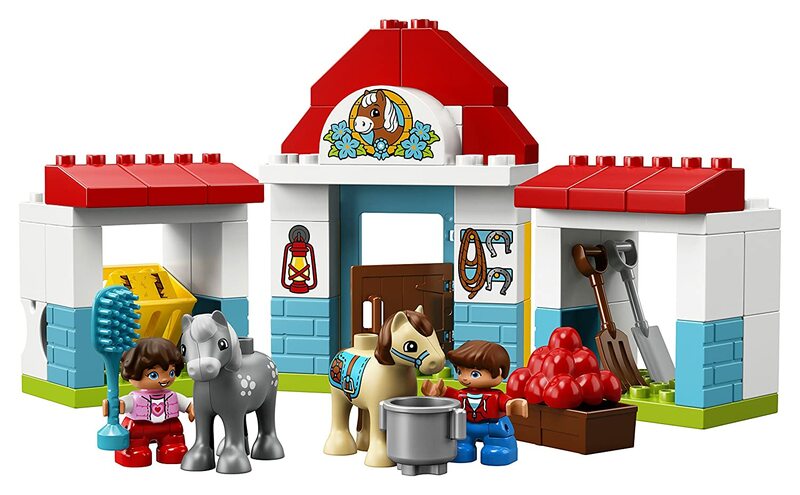 Lego’s have always been a favorite among children and adults; there are just so many ways to create with Legos. They can play alone or with friends. We always have Lego Duplos around our house and they have been here for years, we just keep adding to our set. I guess you could say we have a very huge set!! The Paw Patrol Toys are Super Popular!!! It seems today that many children want a Paw Patrol Birthday, and so does our little guy! 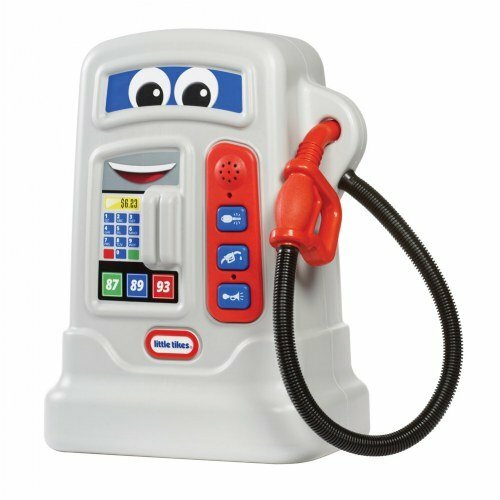 So one of our Paw Patrol party ideas was to get this for him for the gift. 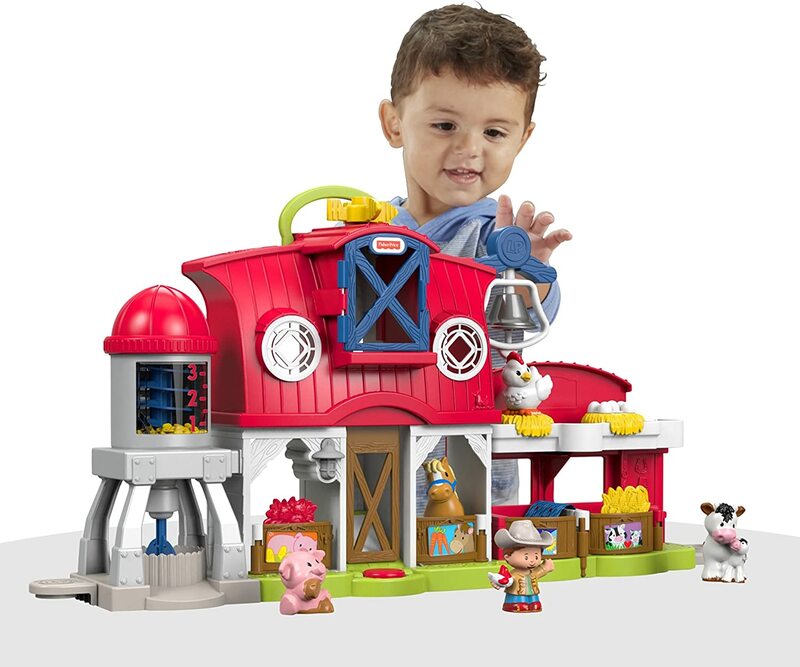 The Paw Patrol Lookout Tower will be just what he wants! I know because he loves anything that has to do with Paw Patrol, and this has a fun slides for kids. 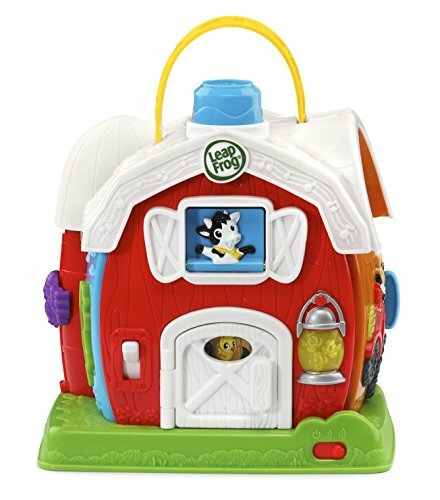 What're the best toys for 2 year old boys... 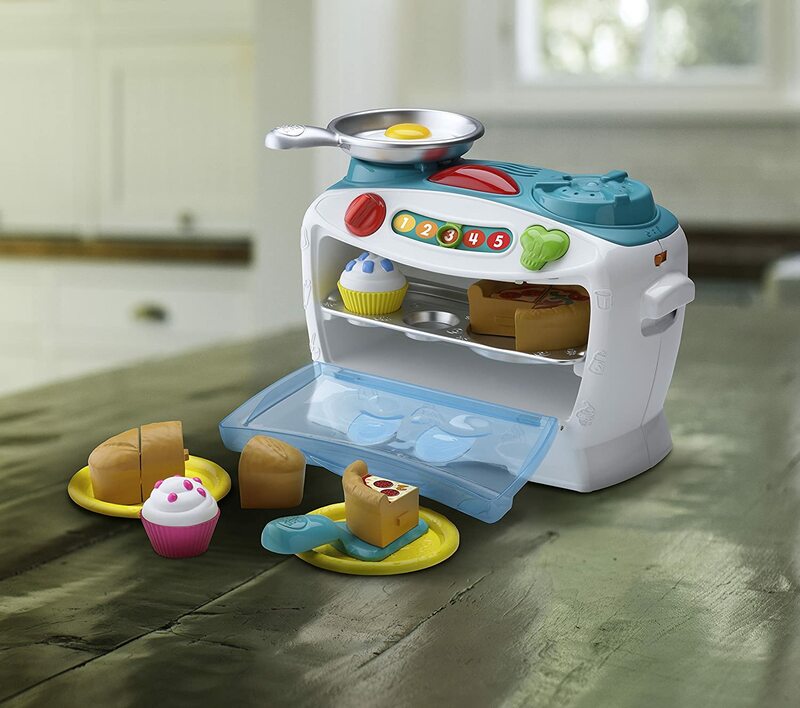 I do believe it’s their very own Kitchen Set for Kids! I love watching them get so creative cooking. Our child is always busy, really concentrating on whatever he's cooking up. 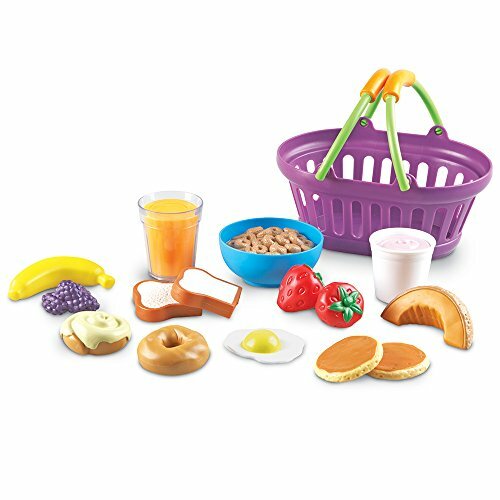 Kids kitchen sets are perfect for that little one. They really love to shop, cook and play in the sink. 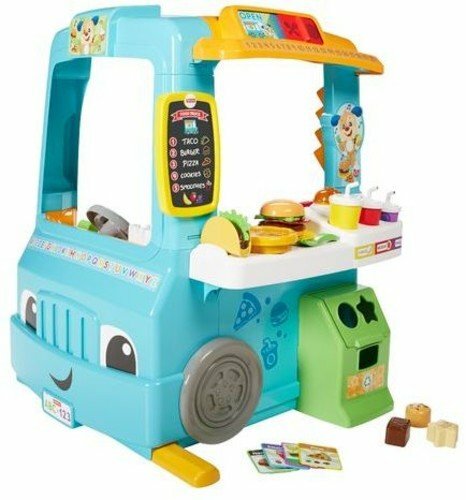 Our little one loves his New Fisher-Price Food Truck. 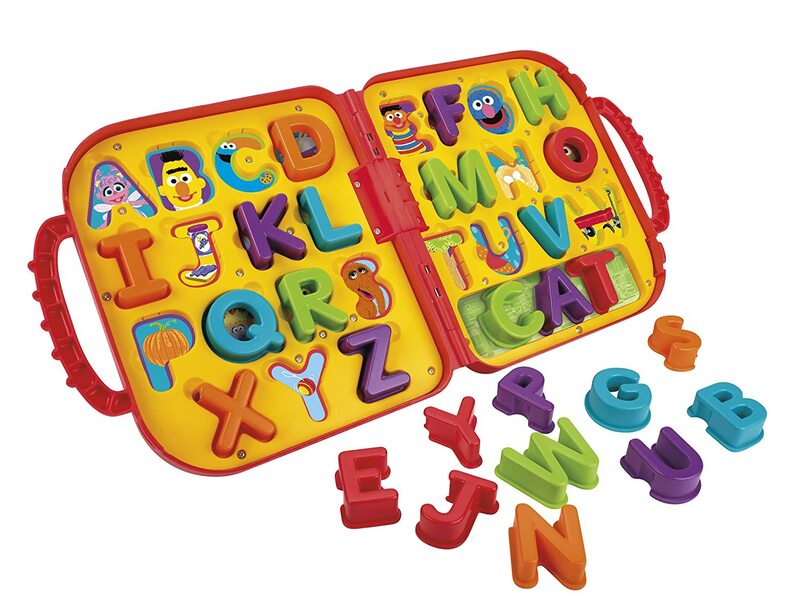 Educational toys kids love to snuggle with, are so great to have. They can learn while feeling comforted At the age of 2, kids are so smart, and they are learning everyday. They say that research shows that the ages between birth and 5 is when they learn the quickest. 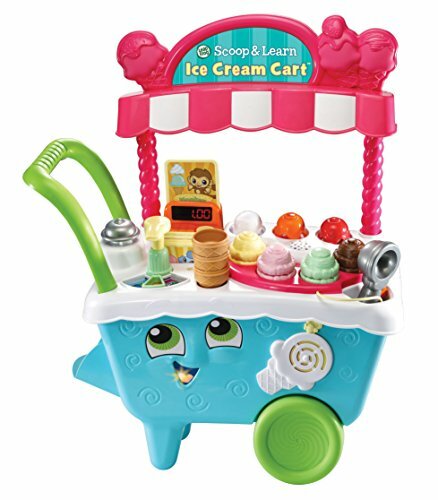 So you want to get them something cute, colorful, fun and something that teaches them. 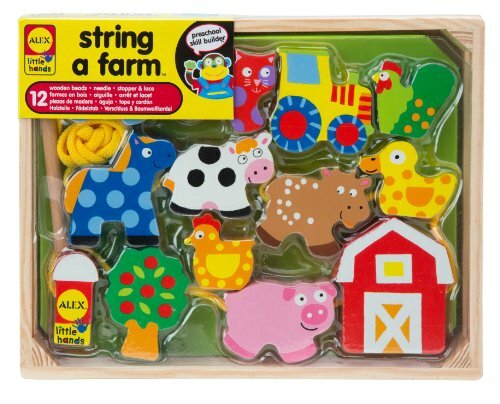 We love all the Laugh & Learn Toys! 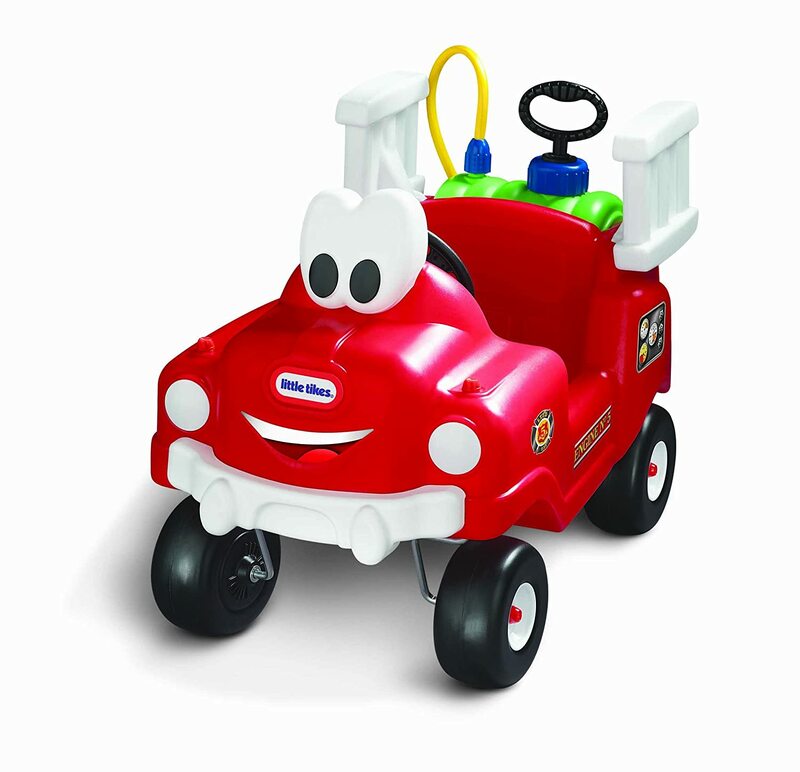 The Fisher Price Laugh and Learn Puppy is Soo cute; children can learn, dance and play with it. Kids can play games and learn songs with this puppy. 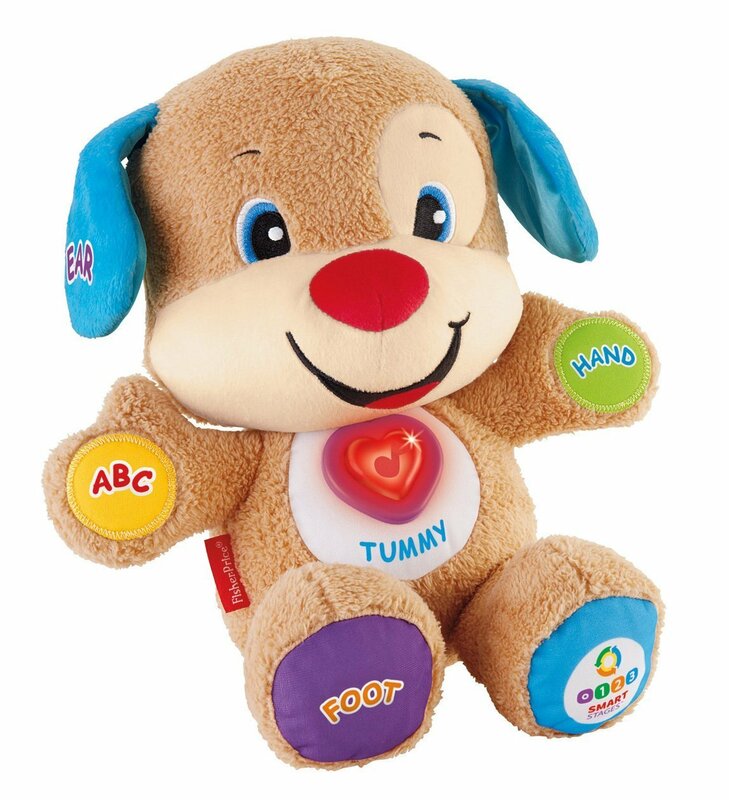 It’s fun to learn the alphabet, colors, counting and learn the parts of the body with this cute puppy. It’s just a super cute puppy, our kids have one. 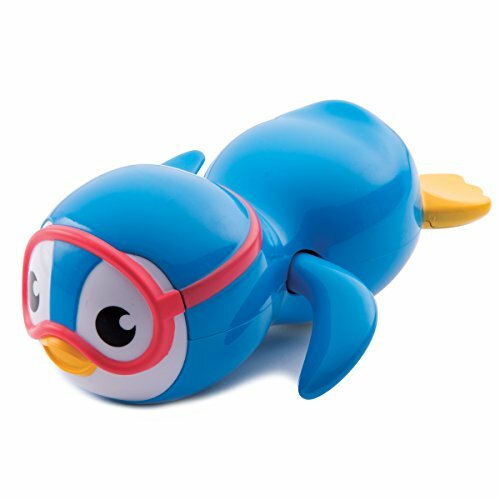 Here’s some fun toys that your child will love! Little boys will giggle with delight when they watch and chase these brightly colored balls. 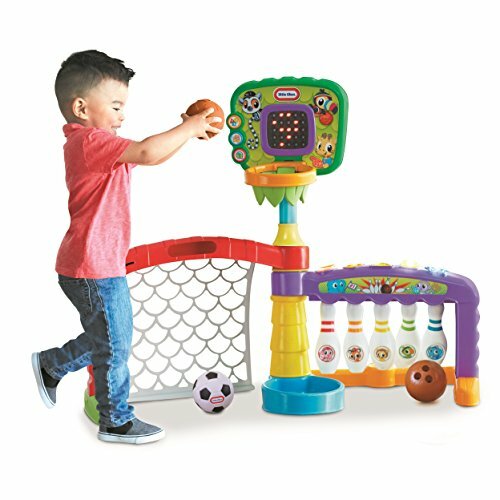 This is a great toy for 2 year old boys, and for some reason little boys are fascinated with throwing and chasing Brightly Colored Balls. ​It’s a fun way for them to learn their colors too. 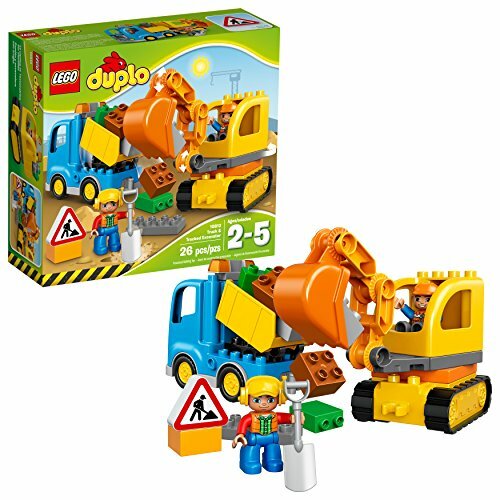 These make great gifts 2 year old boys. 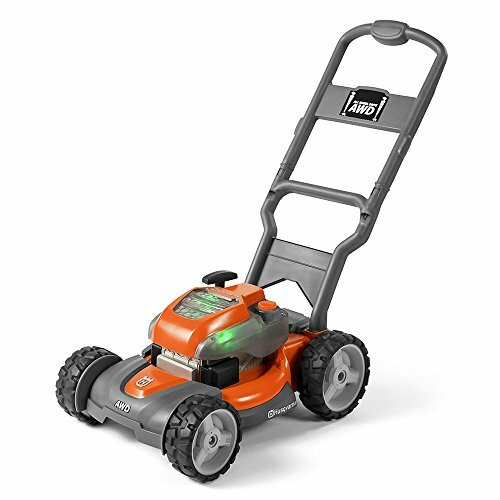 Here’s really fun outdoor toys for boys! 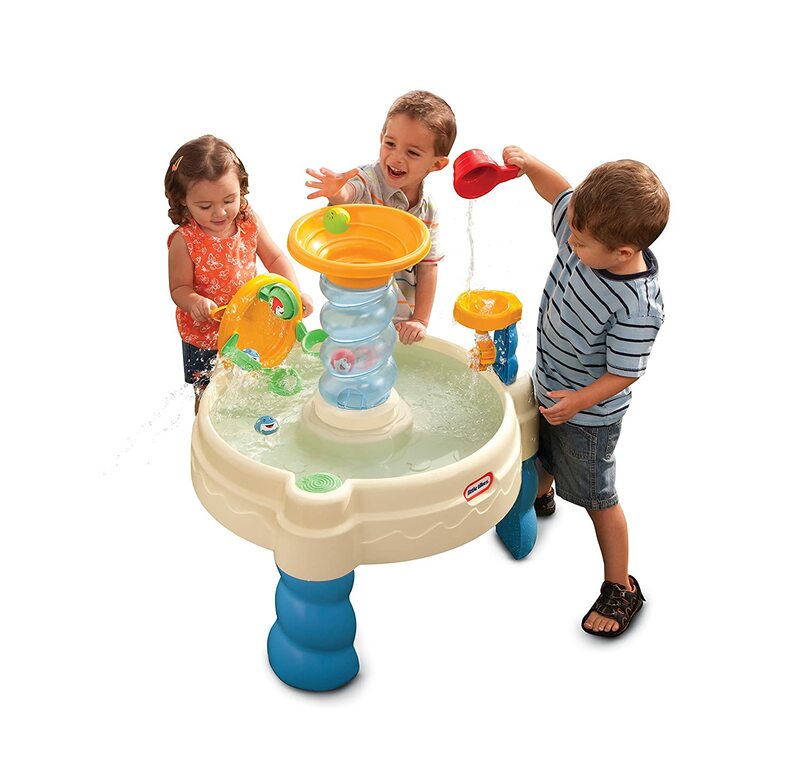 Kids always love to play outside, now they can have fun with a cool Water Table. 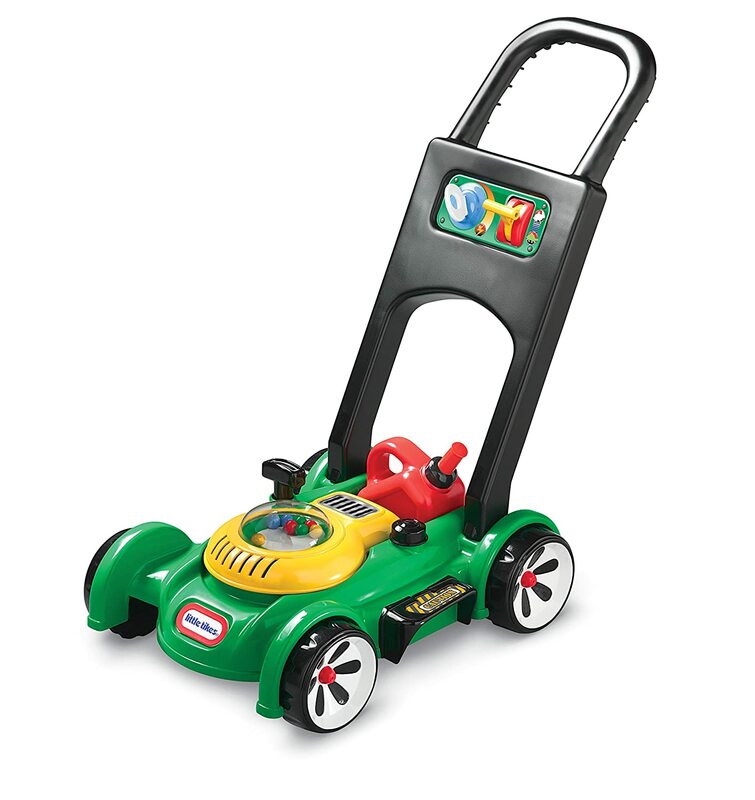 All two year old boys would love this for a birthday gift, or anytime. 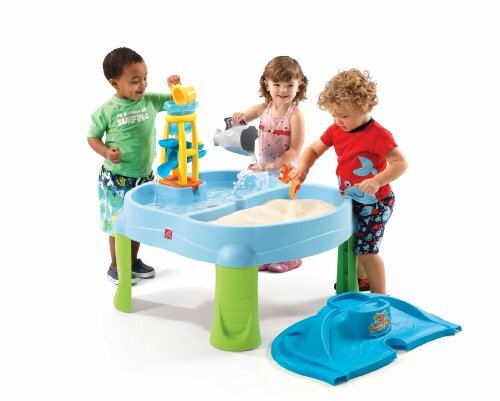 A sand and water table will keep him happy and busy for hours. 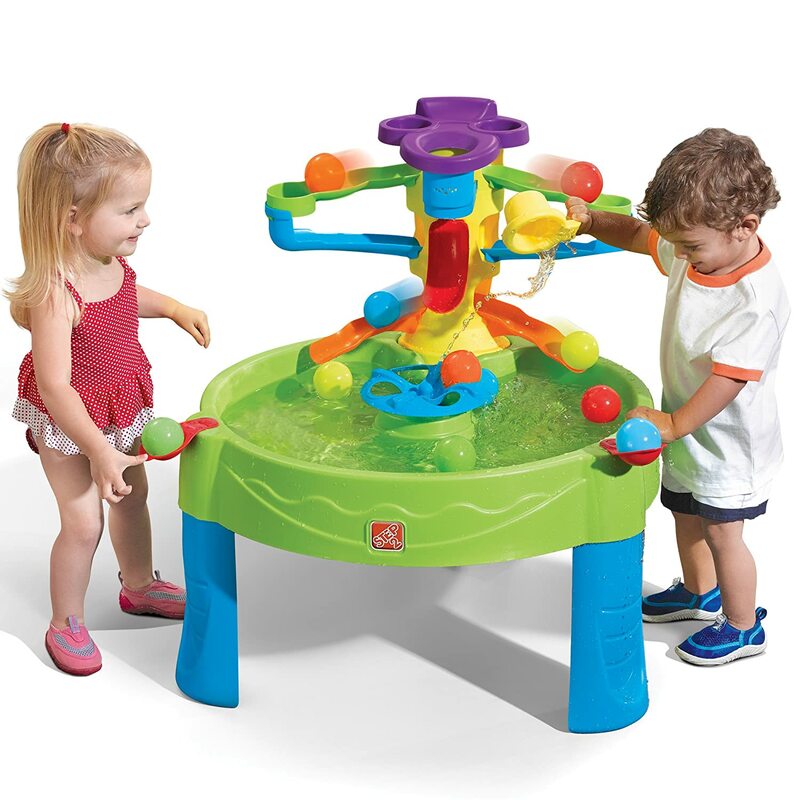 Children can play forever making mud pies, floating boats and playing with water toys. Top gifts for boys! 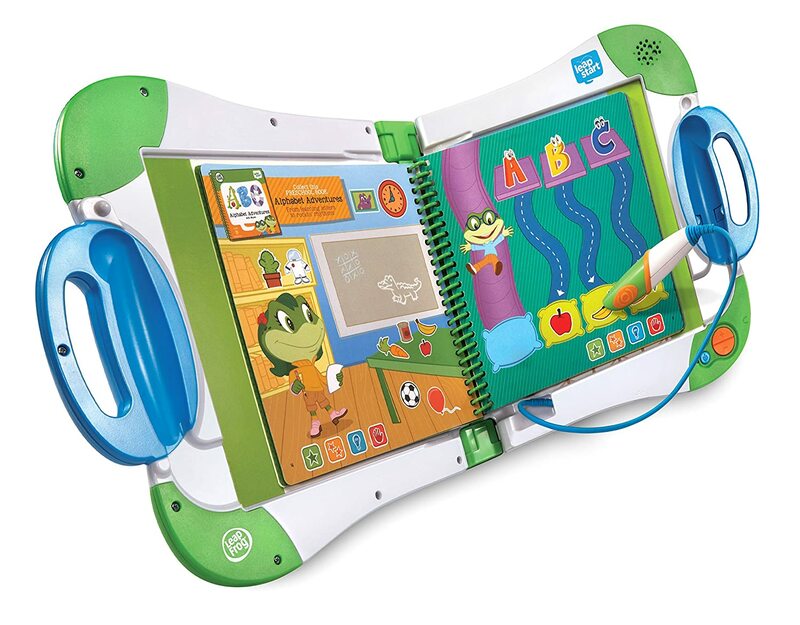 LeapFrog Leapstart Interactive Learning System is a fun way to get children excited about learning. Fun filled activity books to help them learn skills for life and school. There are problem solving puzzles, music, math, abc’s, storytelling and so much more. 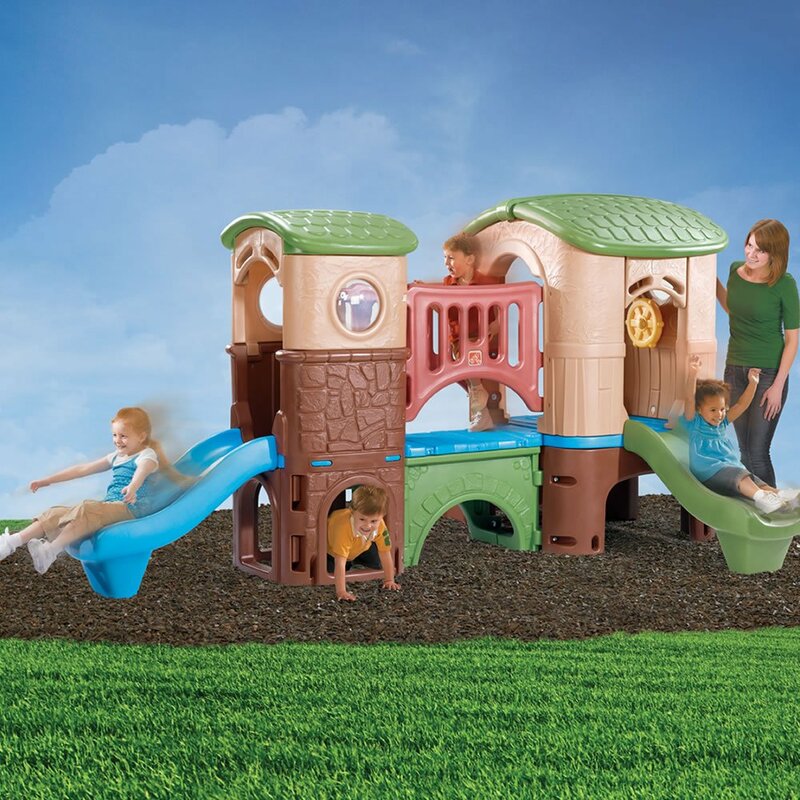 ​I think its perfect for a preschooler and it grows with the child in the activity levels. 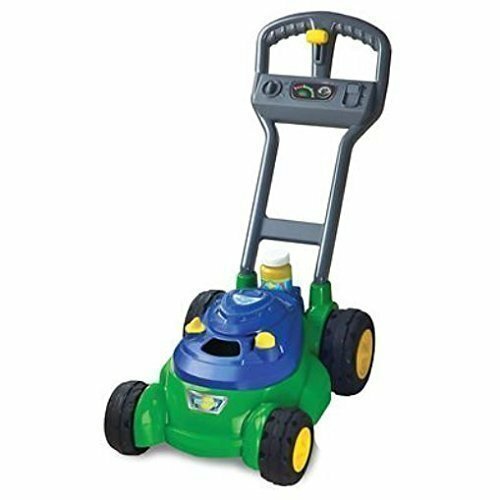 Leapfrog has great toys for kids. Swing sets are so much fun for little ones. I believe in getting the children outdoors to play, and they will be so excited to play on their own swing set. I think it’s so important to get outside and get some sunshine and fresh air. It’s a great way for children to get some physical activity too. 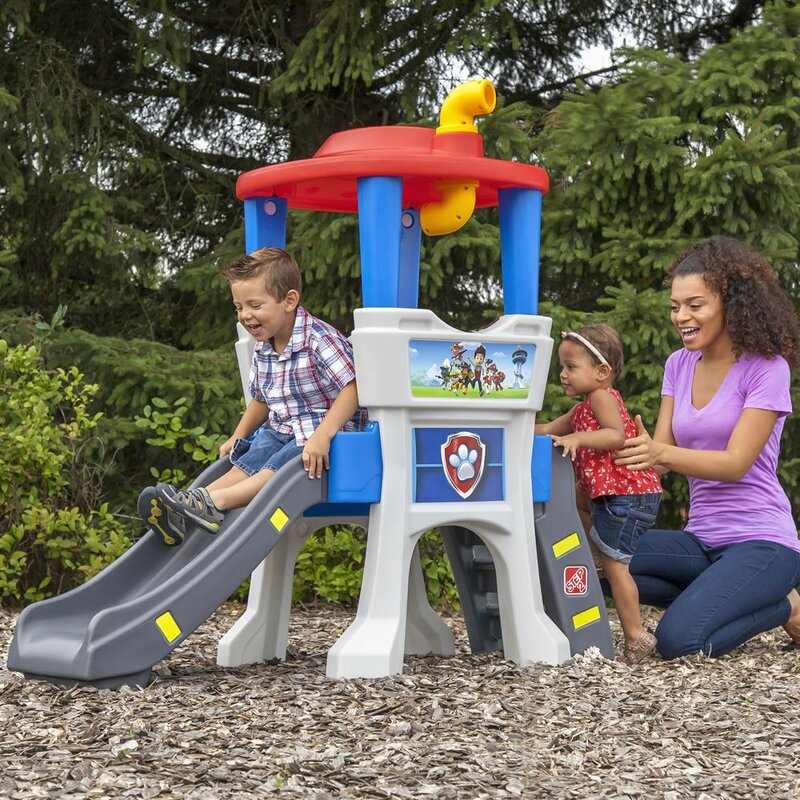 Outdoor swing sets are real durable for some tough play. 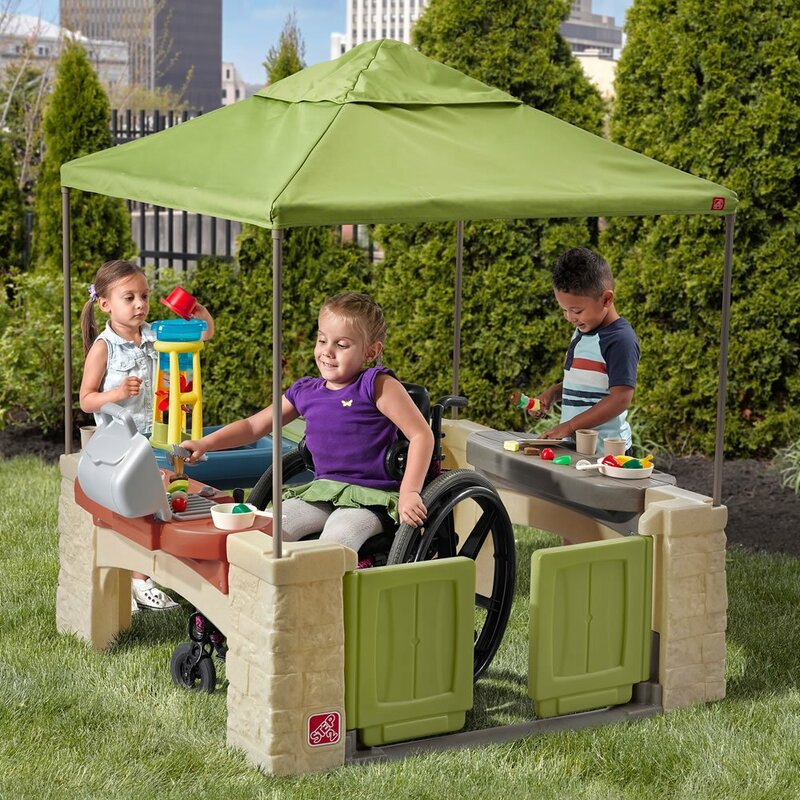 They will spend a great deal of time on their new outdoor equipment playing, they can have a blast alone or with family and friends. 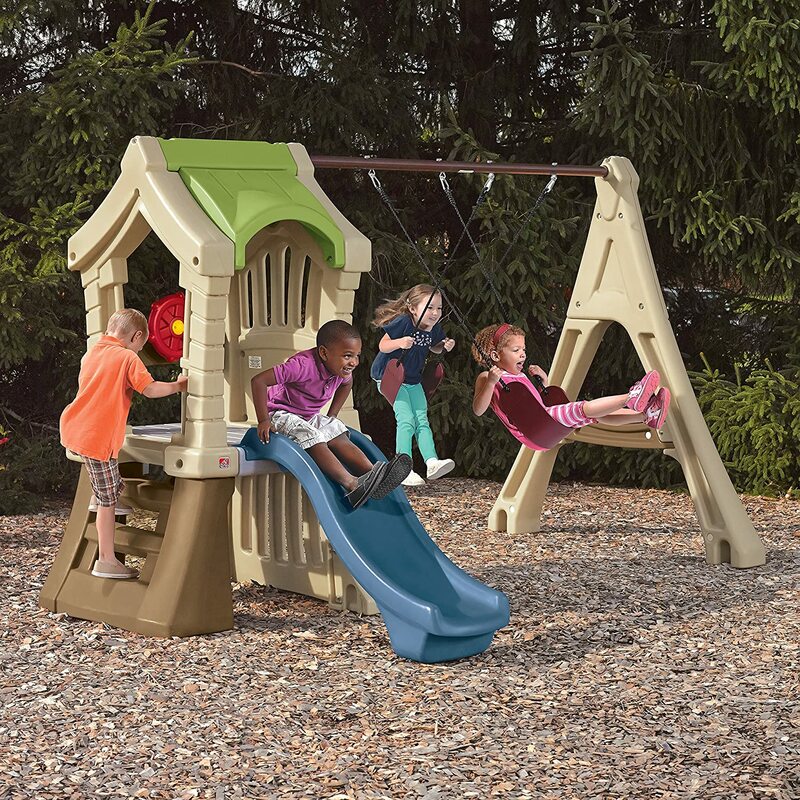 We love Backyard Swing Sets! 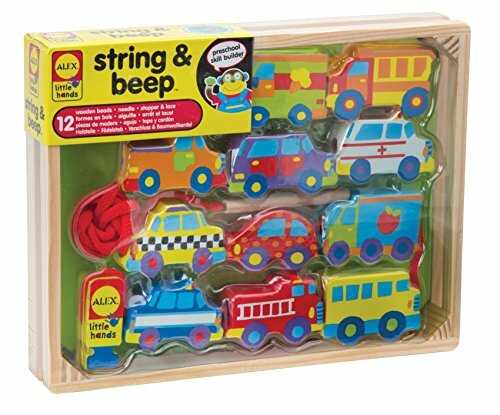 The Alex Toys Little Hands wooden stringing toys are great gift ideas for 2 years old. Stringing Beads help with fine motor skills and dexterity. This will keep their little hands busy. They will love all the colors and shapes and they will be excited to learn how to string beads. This is so good for hand coordination for kids. 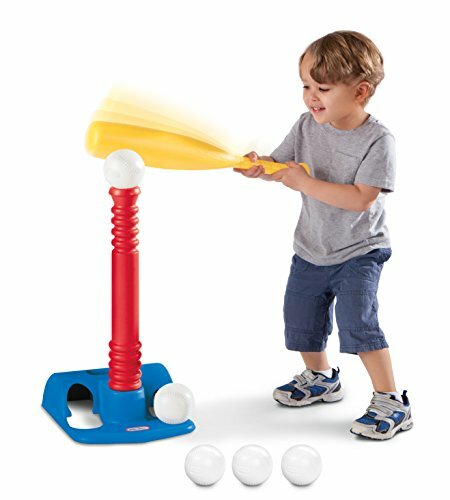 The best sports toys for boys, for us is baseball & basketball toys. I think our little guy plays basketball just about everyday. Sport Activities for Kids, keep them moving and having tons of fun! You can pick any of these great sport toys and I think, it would be a winner for any child. 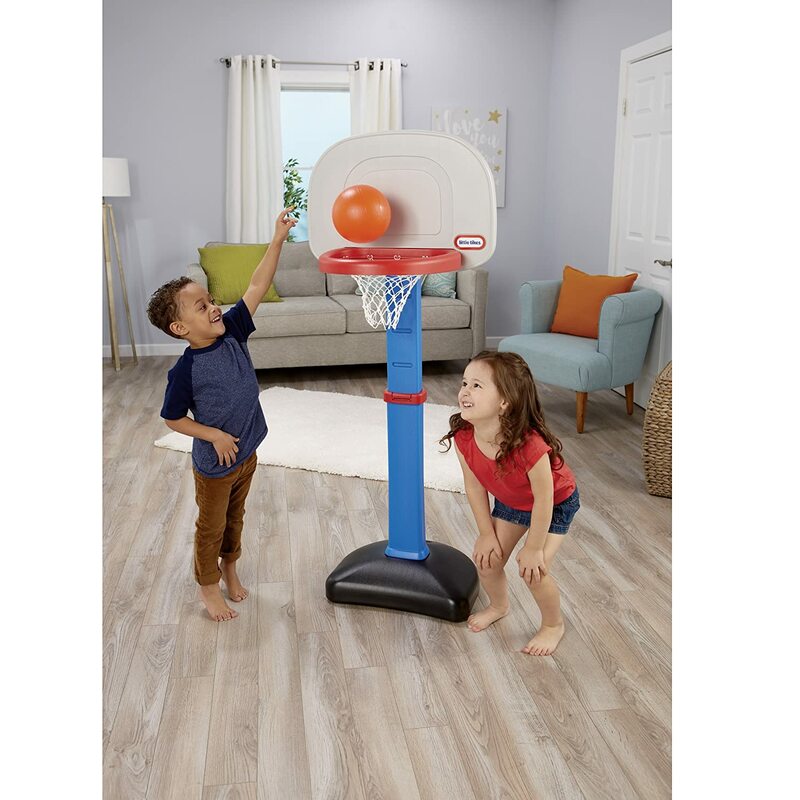 ​ Basketball games kids enjoy playing indoor and outdoor, and any of these would be great for that. 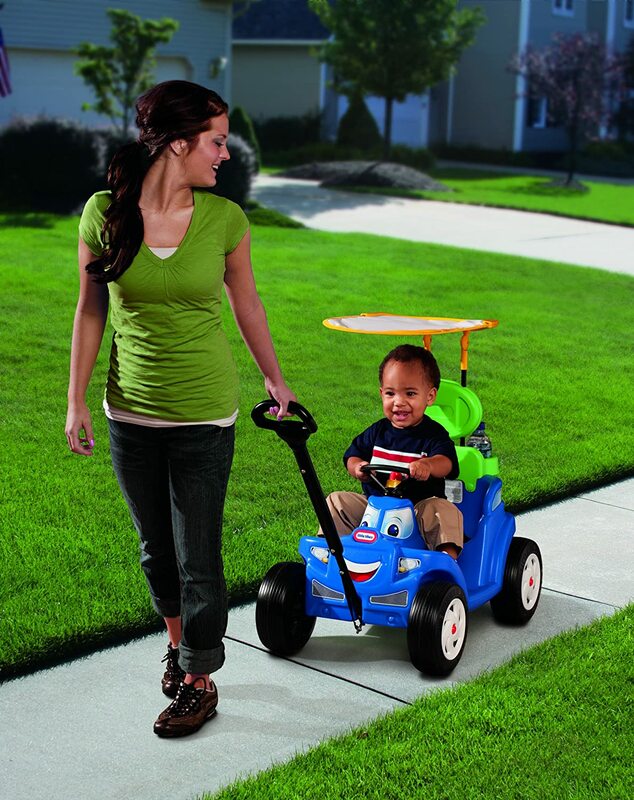 Go Go Smart Wheels are so much fun for little boys. 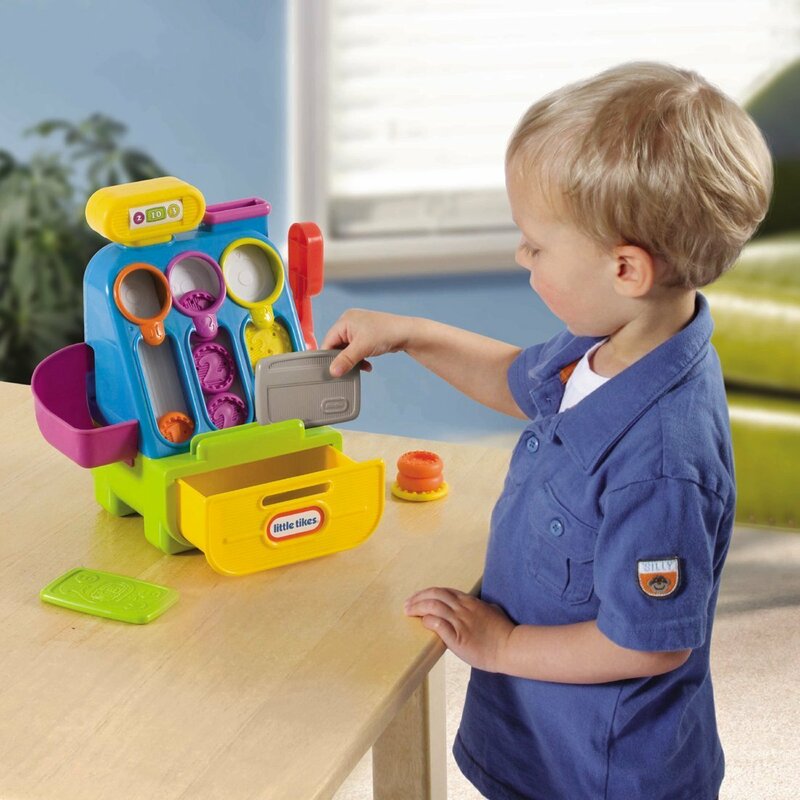 It inspires imagination and creative play. They can learn colors, letters; there are phrases and songs. They can learn so much from these cute toys. 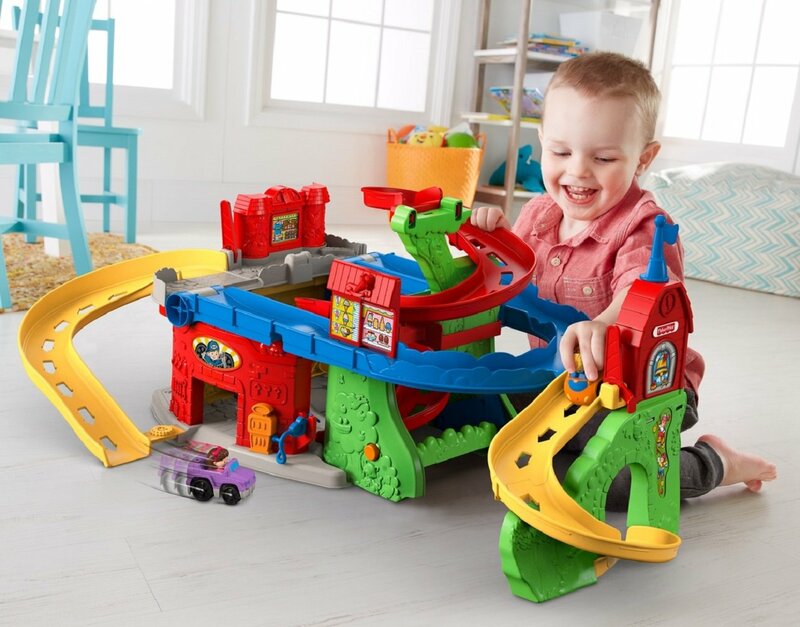 We love the tracks for the cars, you can always buy more sets and they all hook together. 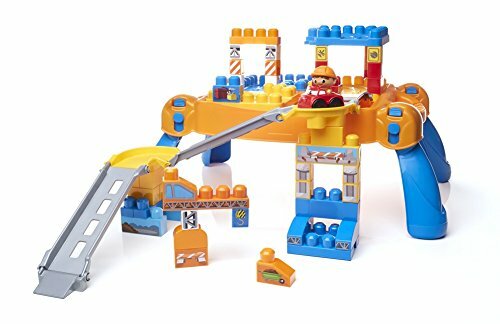 For me, it's just the perfect toy for a 2 year old boy. 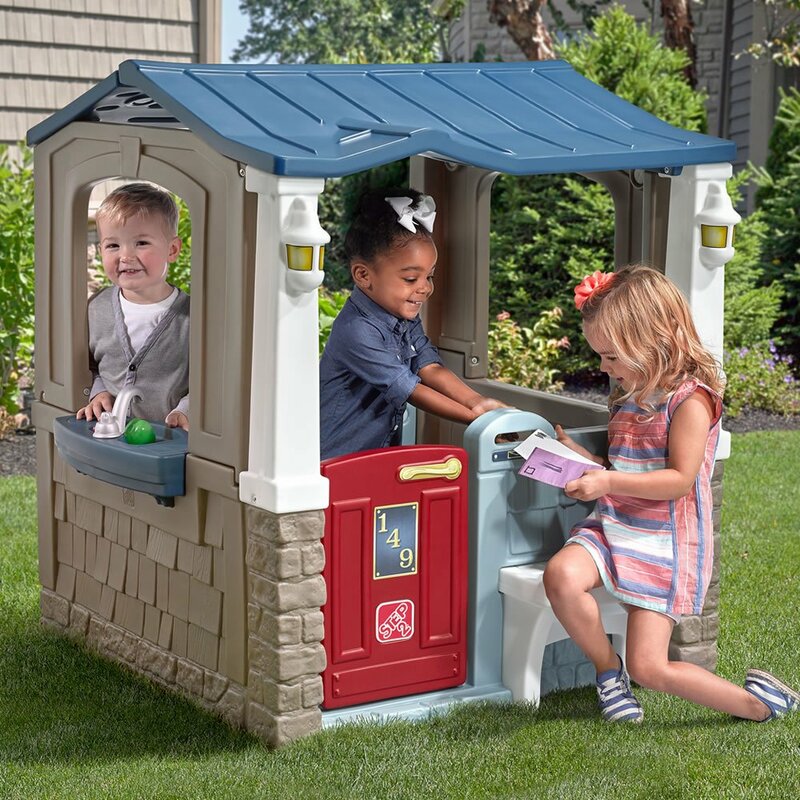 Give your child a place of there own, a little house for them to explore their imagination. They can cook, clean and have their friends over for snack. They love to have their own place. Our little guy likes to do everything in his house. He likes to read his books, pretend to learn how to cook & have his friends over for snack. ​Sometimes he even likes to takes a nap in his playhouse. 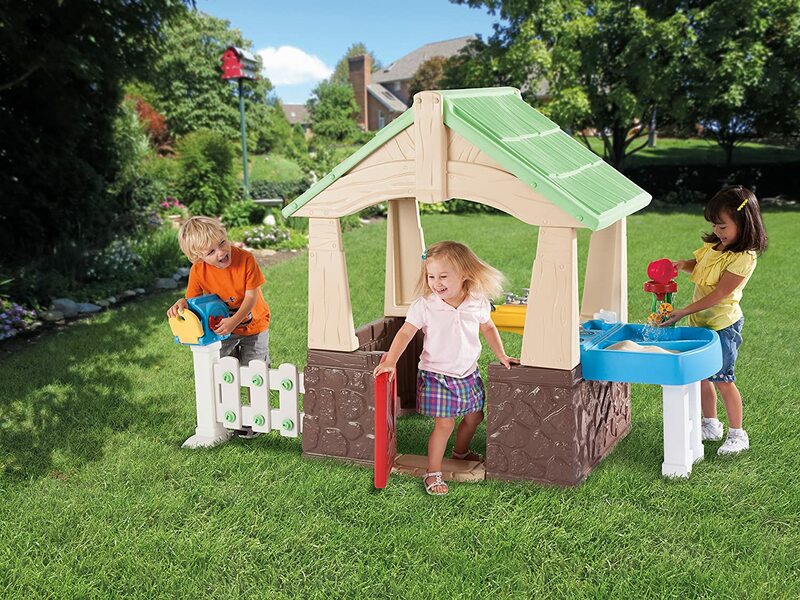 You can put the Playhouse indoors, if you always have rainy weather like us, or you can place them outdoors. 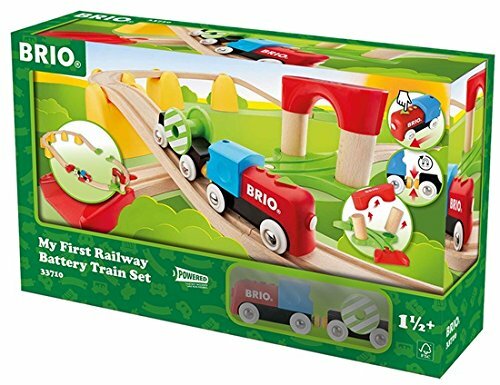 Brio Train Sets, are something our little one has way to many of, lol. Its just a toy that he is crazy about. I mean he has a whole box full, and he still wants more. I think he's going to look for train conductor jobs when he grows up. Seriously, its like his passion. He just Loves Trains!! 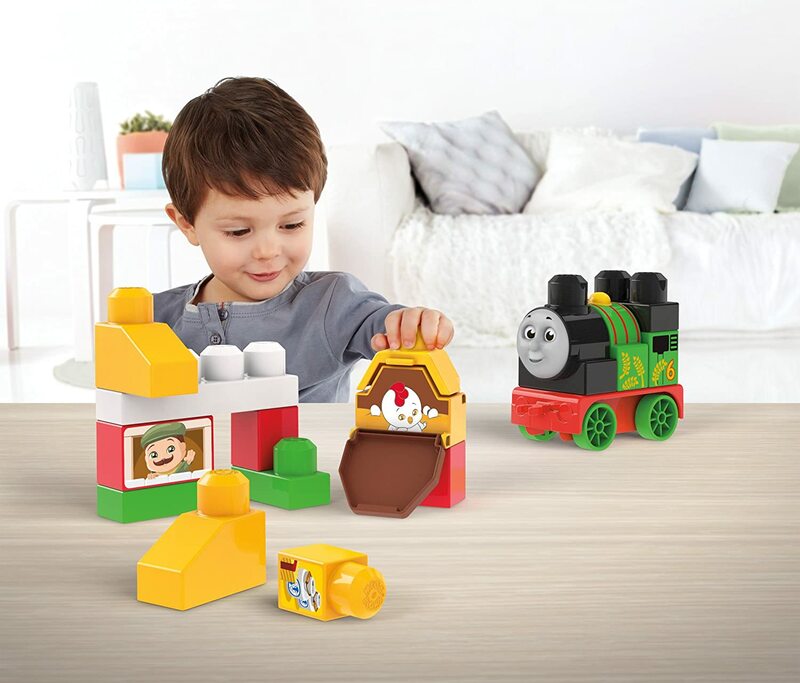 We love the high quality and durability each of these trains. 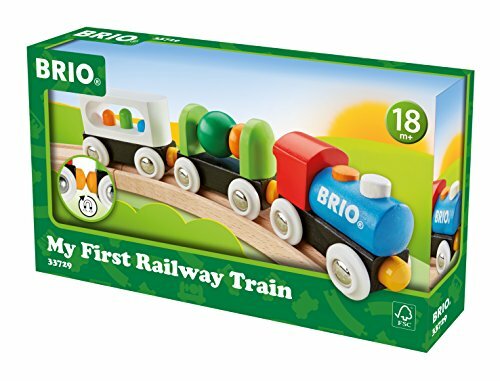 Kids love to play with the colorful toy trains, it keeps children busy and entertained. 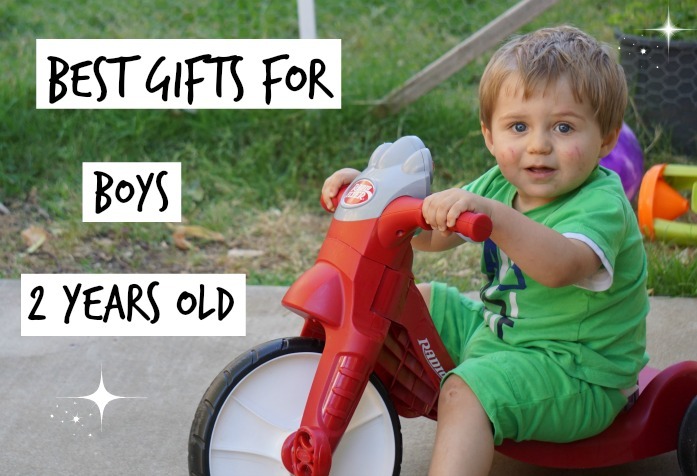 Great Birthday gifts for boys! 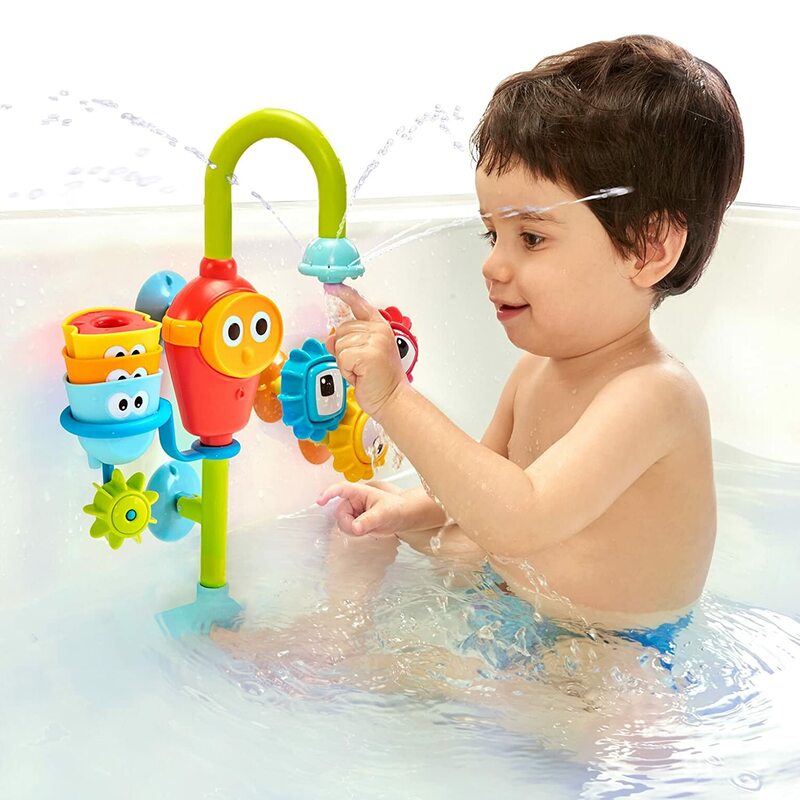 Bath toys for toddlers, just makes bath time more fun. Sometimes it’s hard to get our little one to want to take a bath. If he has a new toy to try out in the tub, well then it makes it easy. 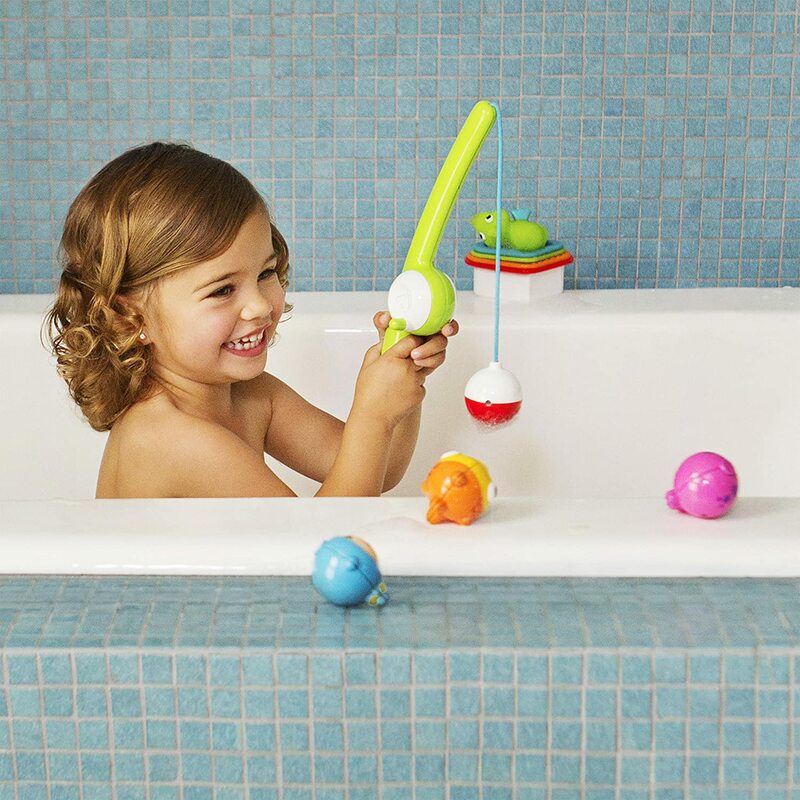 These are Kids Bath Toys, that are super popular and kids really love.